Best Buy is kicking off its Black Friday in July sales event and among the many deals that you will find, there are a few that we want to highlight. The best Apple deal on offer has to be the price cut on the latest Apple Watch Series 3 model. Best Buy is slashing $50 to $75 off the original price of the Apple Watch Series, so you can get the 38mm GPS model for as low as $280 ($50 off), while the 42mm version price has been reduced to $310 ($50 off). And these match the lowest prices that we have ever seen on the Apple Watch Series 3. And if you opt for the GPS + Cellular model of the wearable, the one that you can use independently from your iPhone, you get the full $75 discount. 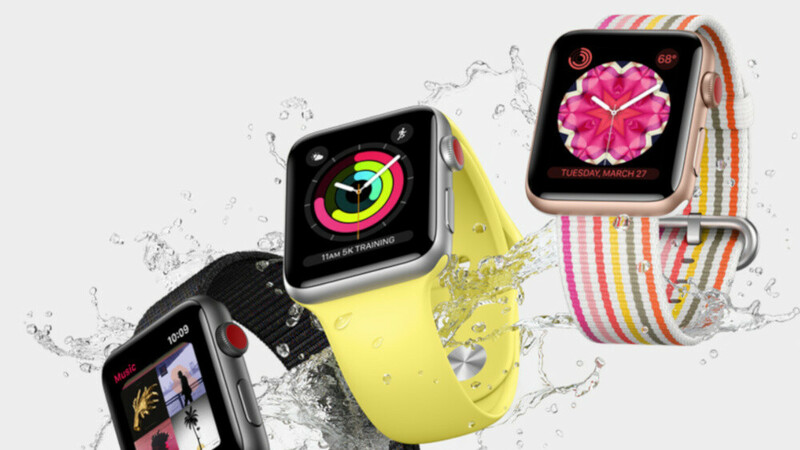 Cellular equipped Apple Watch Series 3 models start at $324 for the 38mm version and $354 for the 42mm model. Of course, keep in mind that we are just about two months away from Apple's big September event when the company is expected to show its newest Apple Watches that are said to have a bigger screen in a similar body, as well as more accurate tracking, faster speeds and more.